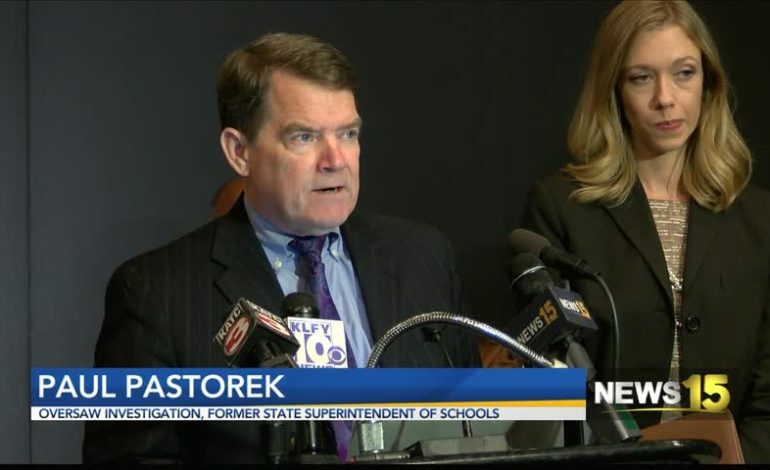 Paul Pastorek, Former State Superintendent of Schools, oversaw the investigation into the New York Times’ claims on TM Landry. Some of the facts he said helped to counteract the accusations made can be seen from those prestigious universities admitting TM Landry students. “A number of these universities had taken several kids year after year. That is evidence in my opinion that the schools have confidence not in the particulars of an application but in the quality of the students being delivered to the university.” said Pastorek. During the investigation, numerous sources were interviewed, including Mike and Tracy Landry, faculty, current seniors and even alumni who graduated before the New York Times article came out. “It’s quite the contrary. They’re in college they’re doing well. They’re enjoying their experience and the allegations in the New York Times is inconsistent with their experiences at TM Landry.” said Claire Pnthier, a Lawyer in the investigation. Pastorek acknowledges there were some issues with how the school handled student information, but it didn’t rise to the level of fraud. “There are some schools that beat the odds and I think TM Landry beats the odds” said Pastorek. It is important to note, the students and parents who were featured in the New York Times article were not interviewed during this third party investigation. According to the investigation, the lawyer representing those clients would not allow the investigators to conduct interviews.